The last few days have been absolute Taos Perfection. We do a fabulous Halloween here, and this year it felt like it went on for days. 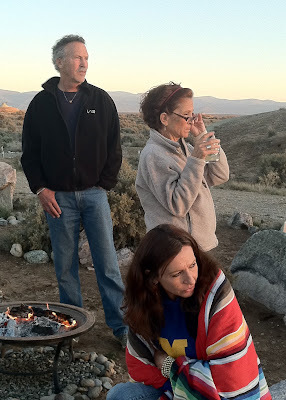 There was a quiet spot in the revelry on Sunday evening, when we went out to watch the sunset on the mesa with friends. It's a magical place out there, with enormous views in all directions. I stood in one spot, and took pictures all around me as the sun slipped lower and lower, and the light changed with each passing moment. Halloween has its own wonderful, but very different sort of magic. 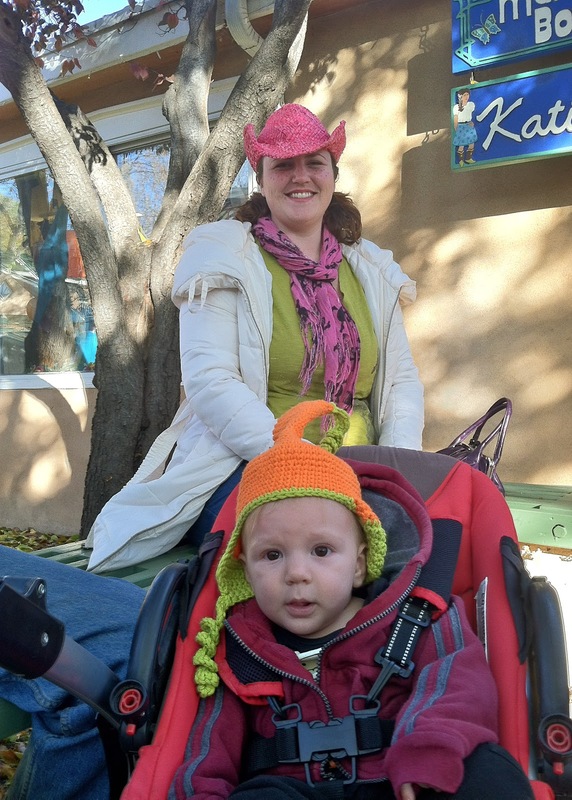 The whole town gathers in costume in the plaza area, and while the kids beg candy from the local businesses, adults visit and enjoy the small town spooky celebration. 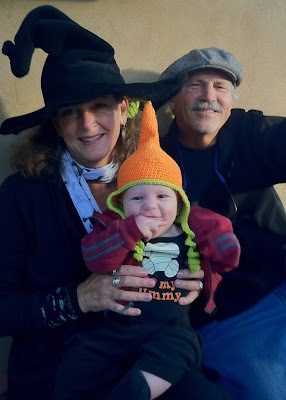 It was such fun to have our little grandson Jacob along this year, for his first Halloween at 6 months old. He is truly a magical part of our lives. And here we are at the start of another November. Already? I feel like we're living in a time warp, where nothing, especially time, behaves the way it used to. No sense fighting it. We might as well enjoy the ride. Happy November!